Bushfires and logging have taken a terrible toll on the habitat of the rare Leadbeater's possum. How long can it survive? Bridie Smith and Tom Arup report. THE ground squelches underfoot, the forest a mass of branches criss-crossing between the slender trunks of mountain swamp gum and the ferny undergrowth. This is Leadbeater's possum country. And one of the tiny critters is about to get a rude awakening. It's late in the afternoon, but for the endangered nocturnal possum it's the middle of the night. Its round black eyes are fully alert by the time it has been scooped from its timber nest box high in a mountain swamp gum and popped into a brown cotton bag. Still radiating the body heat it has generated and shared with its nest buddies, the young male is weighed and measured at ground level before being returned to his treetop home. 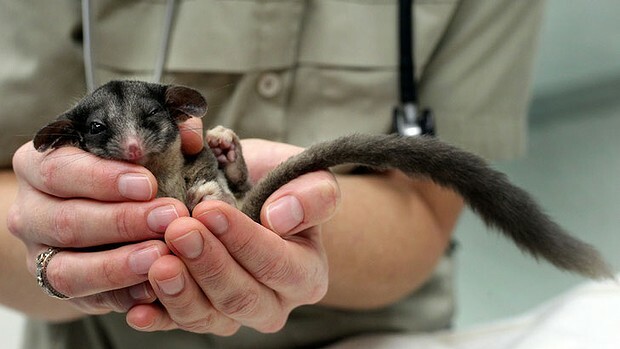 The annual weigh-in, which also gathers genetic data, is a vital opportunity for biologists to check the health of Victoria's faunal emblem and one of the rarest mammals in the country. But what the surveying scientists are increasingly finding is a species under stress. Fire has destroyed much of its habitat, and conservationists say logging is putting pressure on the rest. Now there are serious suggestions Victoria is watching its animal emblem head towards extinction. And there are calls for intervention. At the Yellingbo Nature Conservation Reserve, a small patch of swampy forest is home to the last remaining lowland population. As its habitat shrinks, the past eight years has seen a 40 per cent decline in Leadbeater's possum there. Numbering no more than 60, they are now concentrated in an area measuring just four kilometres by 120 metres. The situation is not much better for the other, larger, population of Leadbeater's in the tall, cool, mountain ash forests of Victoria's central highlands. Exact highlands numbers are unknown, but are likely to be somewhere under 2000. On Black Saturday, more than one-third of public land within the Leadbeater's highland habitat range was burnt. Studies by researchers at the Australian National University and the Arthur Rylah Institute for Environmental Research have found that Leadbeater's have not returned. Highland possums like to live deep in hollows of old trees, so young trees tend not to be suitable. Victoria's central highlands are dominated by young forest - 99 per cent of the trees are from 1939 or later - and just 1 per cent of the mountain ash forest is old growth. Lindenmayer says the front line of the fight to save the endangered species is the mountain forest, and that if the young forest isn't allowed to age, the possum will vanish. Here lies the problem. As fire and felling shrinks forests, competition for the remaining resources between loggers and conservationists has intensified to such an extent that the petite possum, which weighs no more than an apple, is now a hefty political problem. ''Leadbeater's possum is an iconic species, somewhat like Victoria's tiger or panda,'' says Dan Harley, Healesville Sanctuary's threatened species biologist. The dilemma facing the state government is that it wants to provide the timber industry with resource security to meet its contracts. That means nominating areas for the protection of Leadbeater's and other threatened species, and allowing logging elsewhere. Harley says there are some risks to this approach. First, it needs to be established where the possum's stronghold populations are. ''At the moment we are protecting sites based on habitat attributes, which makes perfect sense, but you need to know that the possums are in there and at the moment we don't have that information,'' he says. Second, protecting some areas invariably leads to others being logged. Clearing these areas puts pressure on those remaining sites - which are still vulnerable to fires, such as those on Black Saturday were. ''What Black Saturday did was wipe out areas you thought were important and suddenly the marginal areas become increasingly significant,'' he says. Experience points to how precarious possum populations can be. Black Saturday wiped out a Lake Mountain population of about 300, leaving just six individuals in a partly burnt gully, half of which died. The remaining three were taken to Healesville Sanctuary earlier this year, with two still living. 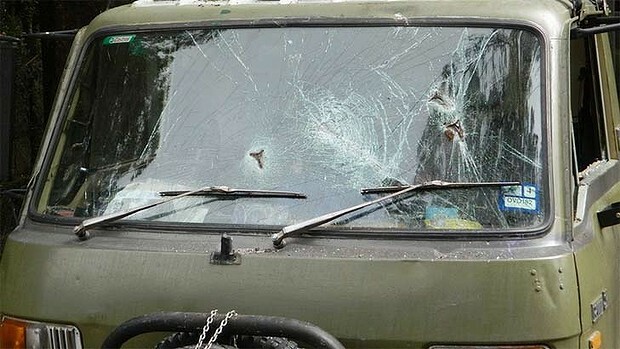 When the 2009 Black Saturday fires swept through the tall mountain ash forest in the central highlands, it was indiscriminate. It burnt 1939 regrowth, 15-year-old regrowth and areas of thick forest that date back to the 1700s. Studies of the forest after the fires showed that the younger forest burned at a faster rate. While it sounds counter-intuitive, Professor Lindenmayer and his colleagues found that the complexity of older forests which have a dense understorey of wattle and tree ferns slowed the flames down. The microclimate was also more moist and burned at a lower intensity. Victorian government data suggests the average annual gross area for timber harvest in the central highlands over the next four years will be 3547 hectares. The actual area felled is normally slightly less. In the Supreme Court last year, conservationists challenged three proposed logging coupes in the central highlands on grounds they contravened protection protocols for Leadbeater's. Justice Robert Osborn found the coupes did not breach the existing state possum protections. But he added there was strong evidence for an urgent review of areas dedicated to possums because the 2009 bushfires had dramatically changed the landscape. At the same time there have been lengthy delays in strengthening state and federal government plans to restore Leadbeater's numbers to respond to the habitat loss. Fairfax Media has obtained drafts of the revised state and national plans for the species dating back to 2009 and 2010, which are yet to be put in place. These plans note the massive reduction in habitat after the Black Saturday fires and put forward 25 measures to better protect the species, costing $4.6 million over five years on early estimates. 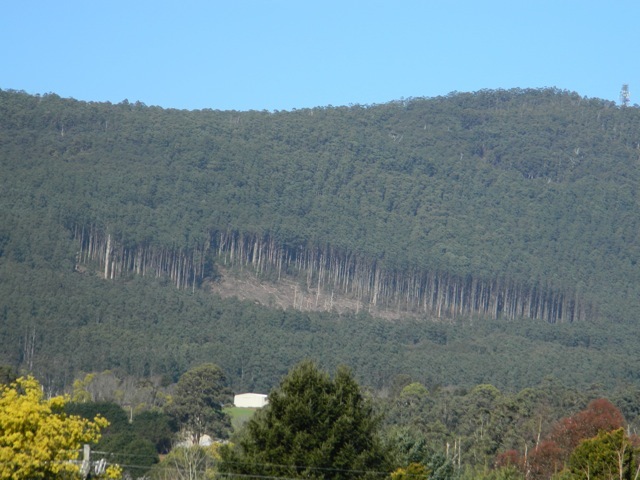 Serious concerns about habitat loss are shared by an expert panel dedicated to the recovery of Leadbeater's and made up of representatives of the state Environment Department, Parks Victoria, Zoos Victoria and the scientific community. By late last year the possum recovery team was so agitated by the emerging data on habitat loss that it proposed a moratorium on central highlands logging until better protections were put in place. But after raising its concerns within the Environment Department the team was told bluntly it could not make such a recommendation and talk of a moratorium ended. Instead the committee wrote to the department in March, proposing changes to the current state possum recovery plan, including listing logging and future loss of suitable habitat as threats to the species' survival. The panel also recommends tightening the definition of Leadbeater's habitat and tougher prescriptions for logging operations in the region to slow habitat loss. ''The Leadbeater's Possum Recovery Team is concerned with the rapid and dramatic loss of habitat for Leadbeater's possum that has been exacerbated by the 2009 wildfires,'' the letter says. 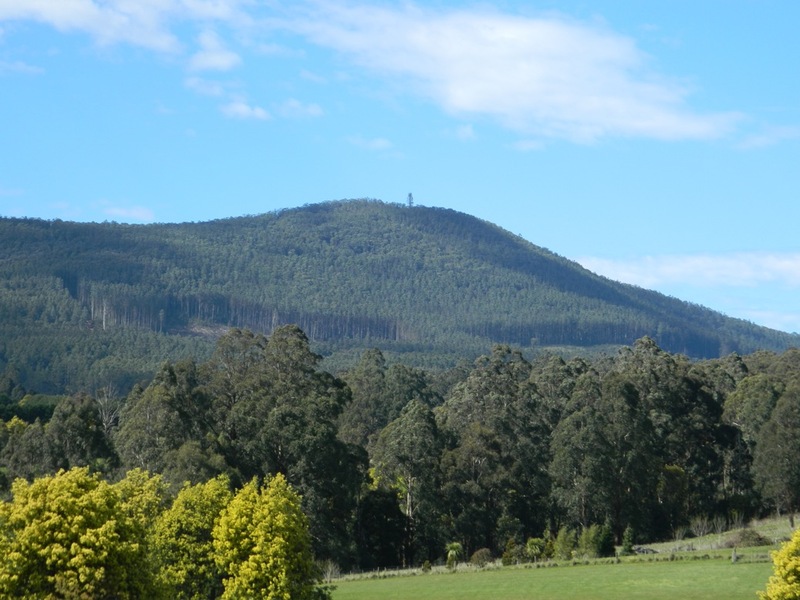 Late last year, the Baillieu government sought to boost the flagging forestry industry by allowing VicForests to offer contracts over two decades, up from the previous five-years. The government also committed to indemnifying VicForests if a contract is broken due to changes in policy, potentially leaving taxpayers with the bill should a future government want to reduce native timber logging. Lindenmayer says there is not enough in the mountain ash forests to meet contract timber quotas. Logging coupes are in areas that returned to life after the 1939 fires. This, Professor Lindenmayer estimates, is a finite resource which only has another 10 to 15 years left. In a paper published in the journal Science on Friday, Lindenmayer writes that the mountain ash are forecast to decline from 5.1 trees per hectare in 1997 to 0.6 trees per hectare in 2070. And, the Australian National University professor says, there are just 12 months left to implement the drastic changes that are needed to save the possum. 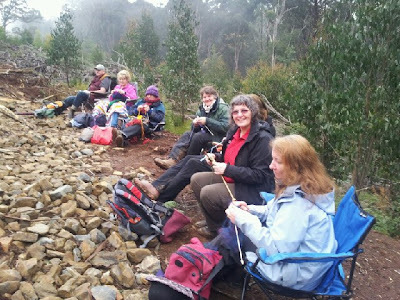 At a briefing for government agencies including Parks Victoria and the Department of Sustainability and Environment last week, Lindenmayer called for a Great Forest National Park to be established in Victoria's central highlands. Lindenmayer said logging should be reduced by half and the carbon storage capacity of the forest be harnessed by bringing in brokers to establish a carbon offset program involving big business. Lindenmayer says exit packages should be made available to loggers who have contracts with VicForests - with the proviso that the companies exit for good. He also argues VicForests needs a ''cultural overhaul'' so forest management focuses on the carbon storage potential of the mountain ash rather than treating the trees as a source of timber and pulp. For its part, the timber industry says logging's footprint on forests is only small and it doesn't log in old-growth forest in the highlands. 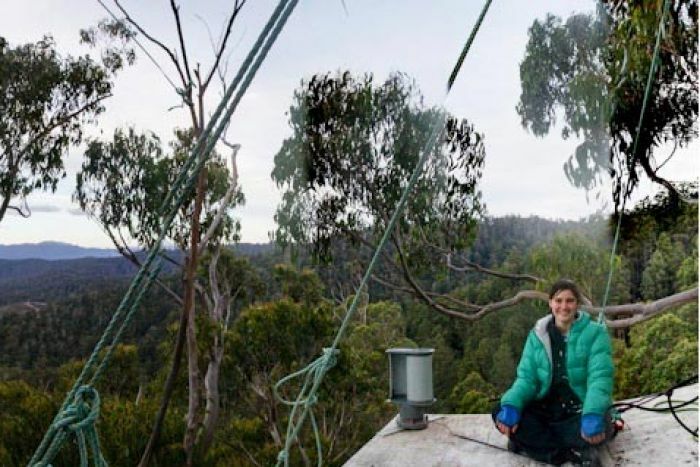 ''The primary threat to the Leadbeater's possum habitat is not forestry, but fire,'' says Lisa Marty, chief executive of the Victorian Association of Forest Industries. VicForests spokesman David Walsh says it believes Leadbeater's can co-exist with timber harvesting. Walsh says VicForests is committed to identifying and protecting potential habitat in areas where logging operations are planned and supports any review of the forest zoning system. VicForests will factor in the impact of the bushfires on how much they log and from where. He says medium-term outlooks shows a dip in the availability of highlands timber because of past bushfires. Sales commitments and harvest levels will be managed in line with this. Victoria's Environment Minister, Ryan Smith, says in response to the debate the Victorian government has begun a $1.86 million project to survey endangered species. Smith says it will help strike the best possible balance between timber production and the protection of biodiversity. To date, the main response to the decline of Leadbeater's has centred around a captive breeding program at Healesville Sanctuary. But the man who each year goes out into the swampy Yellingbo forest to weigh and measure Leadbeater's says the current approach is less than ideal. Despite being the architect of the captive breeding program, Harley stresses it is not the answer in the crucial mountain forests. While captive breeding is important, he says, the main game remains habitat conservation. 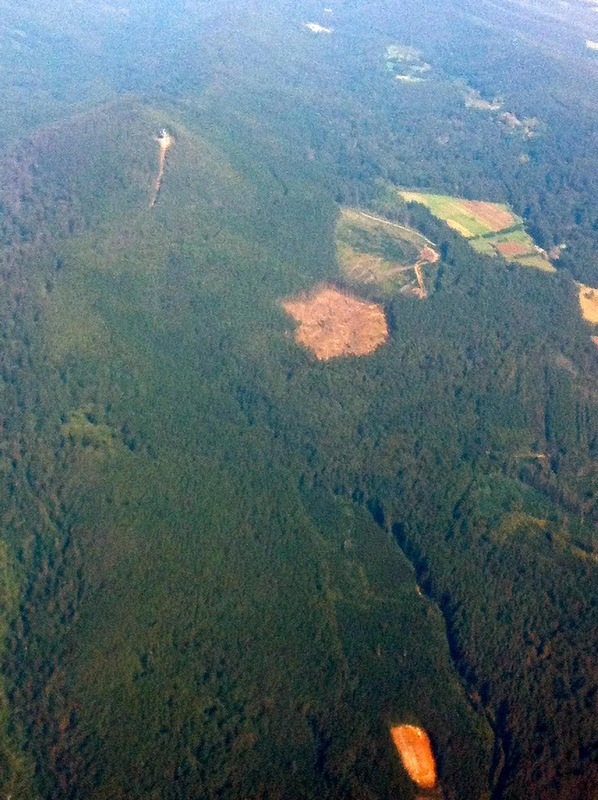 "Leadbeater's conservation will be won or lost in the mountain forests," he says. "The foundation stone of everything is to ensure that you've got an adequate amount of high-quality habitat for a species. And if you don't have that, then nothing else you try is going to work." BUSINESS has reacted furiously to Prime Minister Julia Gillard putting on hold plans to give the states power to deal with environmental approvals for major projects. After a meeting with Ms Gillard and the premiers, business representatives described the atmosphere variously as ''black'' and ''frosty'' and said the perception was that Ms Gillard had caved into the Greens and environmental groups. Business Council of Australia president Tony Shepherd said later the forum had heard ''a frustrating reversal'' by the Commonwealth on its commitment to deal with the growing costs of the approval processes faced by major investments. Ms Gillard said the Commonwealth needed to secure a consistent approach from the states that met proper environmental standards. Otherwise there would be a patchwork of arrangements and a threat to standards. Business sources said no state had said it would not sign up. Victorian Premier Ted Baillieu and New South Wales Premier Barry O'Farrell said they were willing to sign up there and then. There was disagreement over the wording of the communique from the meeting. Ms Gillard has left the way open for further negotiations with the states but business wanted this made explicit in the communique while the federal government did not. In the end, the wording was fuzzy and business is concerned there will not be more negotiations. The final wording said discussions between the Commonwealth and states and territories would continue to work through various matters. Australian Industry Group chief executive Innes Willox said it was disappointing for business that progress had stalled. He accused the Greens of running a scare campaign. ''The business community stressed through this meeting that it does not want to see a reduction in standards,'' he said. To say the business community wanted to reduce standards was a ''distortion of reality''. Mr Shepherd said the forum's participants from business and government alike reinforced the ''non-negotiable need to protect all environmental standards''. But business had made clear that maintaining the present system involving duplication and multiple agencies ''will risk the investments that are critical to the strength and resilience of the economy''. He called on the federal government to commit to accrediting the states through bilateral agreements and said it should take up the offers from Mr Baillieu and Mr O'Farrell to sign at once. Greens leader Christine Milne said Ms Gillard had found out during the past few months that she had ''made a complete muck of it'', and now had made another mistake. Instead of abandoning ''this ridiculous proposition that the Commonwealth hand over its powers to the states, what she's said is 'all right then states, you go and sort it out, come back and tell me how much of the environmental protection powers you want, and I'll hand it over to you next year'''. THE federal government will tell business leaders that it is putting on hold plans to devolve to the states power to deal with environmental approvals for major projects. The decision is a major blow to business - which has claimed ''green tape'' is jeopardising projects worth many billions of dollars - and a victory for green groups that have complained about a watering down of standards. In a bid to streamline and speed up approvals, the Commonwealth started negotiations with the states after the Council of Australian Governments meeting in April for decisions to be made under state legislation. But concern about state approaches to standards has made it difficult to get bilateral agreements that are comprehensive and meet standards. 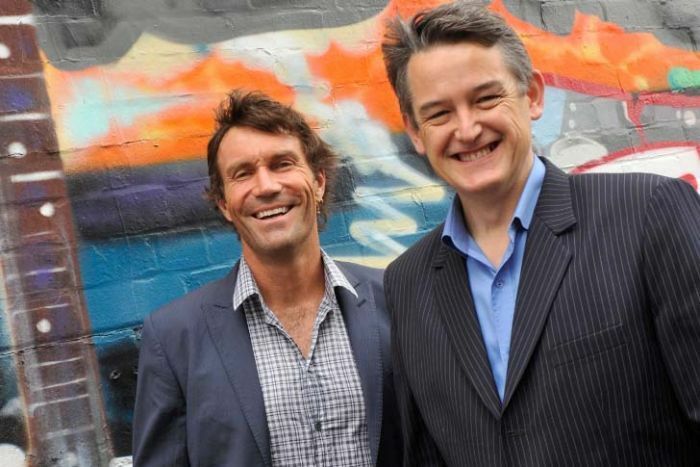 Business leaders at the pre-COAG Business Advisory Forum will be briefed on Thursday on the decision, which follows high-profile spats between Canberra and conservative state governments over environmental approvals. 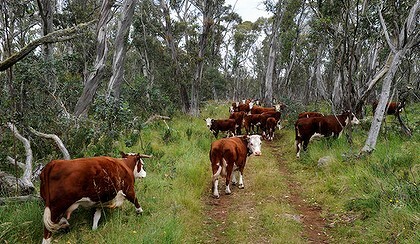 The Baillieu government is challenging in the courts a decision by Environment Minister Tony Burke to block its controversial trial of cattle grazing in the Alpine National Park under national environment laws. Tensions have also exploded between Mr Burke and Queensland Premier Campbell Newman over the approval process for Gina Rinehart's $6.4 billion Alpha coalmine in the Galilee Basin. The federal government says if the states failed to properly maintain environmental standards there could be legal challenges, creating business uncertainty. States have not yet provided assurance that the Commonwealth's high standards that flow from the Environment Protection and Biodiversity Conservation (EPBC) Act would be met. Given the problems, the federal government says bilateral agreements would cover, at most, only two-thirds of matters nationally, ranging between 25 per cent and 90 per cent across jurisdictions. For example, proposals for accreditation would not cover all approvals, including some residential and commercial development, and approvals not involving land development. Not all state processes are capable of assessing all aspects of projects that may affect matters of national significance. The problems would create a ''patchwork'' effect, the federal government says, with some processes accredited under the new system, others still with the Commonwealth and still others requiring co-operation between governments. The government will ask the states to do more work before talks proceed. The government will instead introduce legislation to enact changes to the national environment laws resulting from a 2009 review headed by former senior bureaucrat Allan Hawke. On another COAG issue, the Australian Industry Group has appealed for Friday's meeting to make progress on energy reform. CEO Innes Willox said state concerns about Julia Gillard's electricity package were understandable ''but none should be a deal breaker''. WHEN is logging not logging? When it is ''ecological thinning'' in national parks, according to the governments of New South Wales and Victoria. 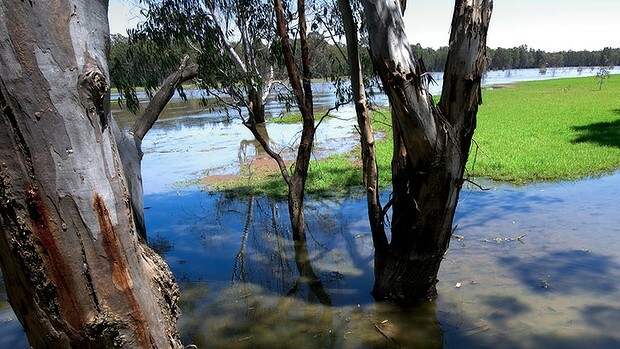 The two states are conducting trials in national parks on both sides of the Murray River. Under the project, trees will be cut down at 22 sites over about 400 hectares of the Barmah National Park in Victoria and the Murray Valley National Park in NSW. Most of the timber will be burnt as firewood. The study will examine whether felling smaller trees gives more established trees a better chance of surviving in the parched environment. But environment groups say the practice is an excuse to log in national parks, and will lead to them being opened up to more commercial activity. The NSW government has advertised for commercial logging contractors and has held a meeting with contractors. The Victorian government will advertise soon. A spokesman for Victorian Environment Minister Ryan Smith said the trial would determine if ''ecological thinning'' could be used to improve river red gum forest health by reducing competition between trees for nutrients and water. 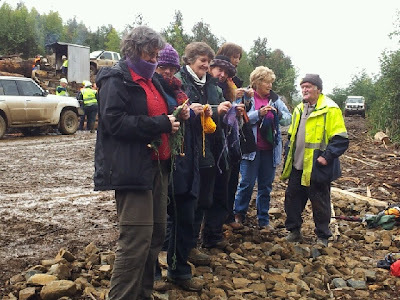 He said no trees over 40 centimetres diameter at chest height would be removed. ''The felled trees removed from the plots will be assessed for suitable byproducts, including domestic firewood, community projects and park furniture. Other felled trees will be left on the forest floor for potential wildlife habitat but managed in a way to minimise fire risks,'' he said. Nick Roberts, from the Victorian National Parks Association, said the project was ''logging by stealth'' and called on the federal government to step in. ''First the Baillieu government invented 'scientific grazing', now it's trying its hand at 'scientific logging'. The sanctity of Victoria's national parks is under serious threat,'' he said. 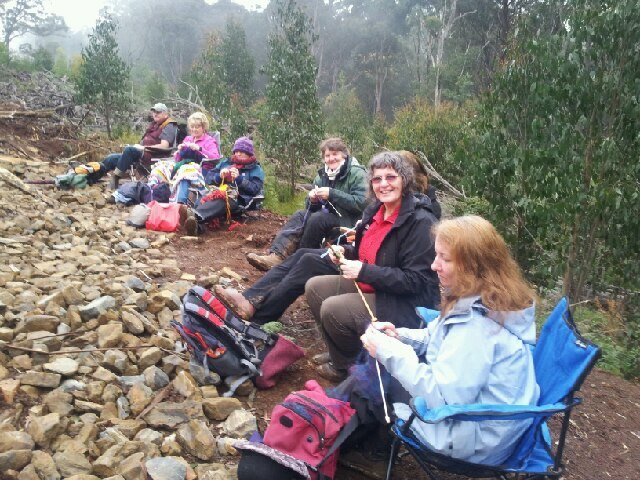 Victorian Association of Forest Industries spokesman Shaun Ratcliff welcomed the project. He said while some groups wanted forests protected as museums, they needed ''active management regimes'' to reflect the impacts of fires, drought and introduced species. 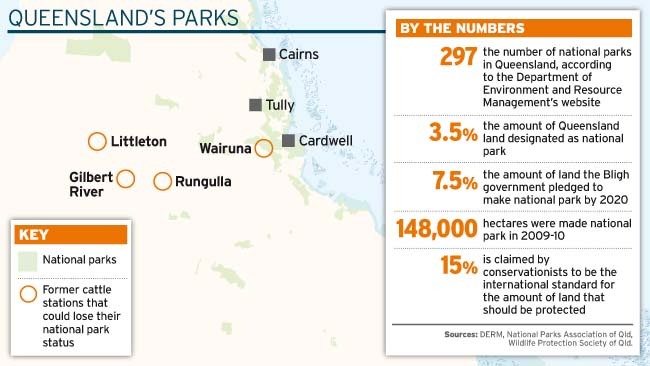 The NSW government said the Natural Resources Commission recommended the project when the parks were established, and it had been accepted by the previous Labor government. The Victorian Environmental Assessment Council gave qualified support in 2008 for ecological thinning in river red gum parks, and it also gained the backing of the former state Labor government.